I've been waiting for another set of menus to try at Octadix Diner but to no avail, I also have this urge to order a cake for a special occassion in my life. So I decided to dine in and spend my husband's birthday together with my daughter, a special friend and dear cousin here at Octadix. I've been craving for sisig lately that in every menu, I look for it. This month has been Sisig month so forgive my unusual appetite for this menu. I tried 3 different sisig this month and I realize they also offer different variations of sisig but all were amazingly good to resist. 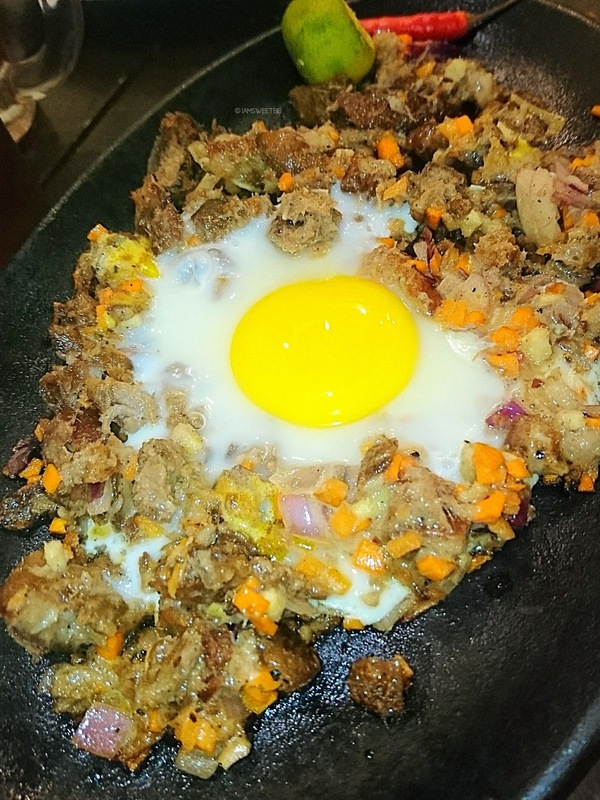 Here's the Pork Sisig of Octadix Diner for you to try. Pork Sisig is an Ala Carte menu and good for 2-3 persons but after tasting it, I am definitely sure that I can eat it in one sitting, alone and no umay factor. I tried it with a plain rice to distiguish the flavor in it. Swabe. There was something in it even it is dried in appearance (just like the Gerry's and Ineng's variation). Don't get me wrong if I ask for a toyo and calamansi in every sisig, it has been my partner if I found the sisig deliciously good. It's like adding up a bit more salty and sour taste. I bet that I'll order an extra rice if I tried this menu alone. I wonder now how it goes with Java Rice as Octadix serves good tasting Java Rice too. Read my previous post about their grand opening couple of months ago featuring their affordable rice meals. Now let me divert you to their Pastas and Nachos. 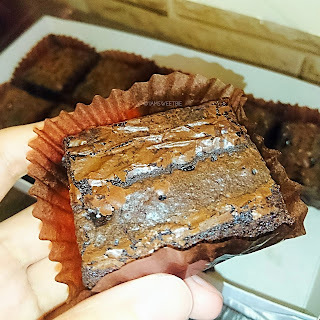 I was invited by Ms. Kat one afternoon to try their new addition: Pomodoro and Nachos and I also grab that opportunity to buy their brownies since I drooled over seeing it from facebook. 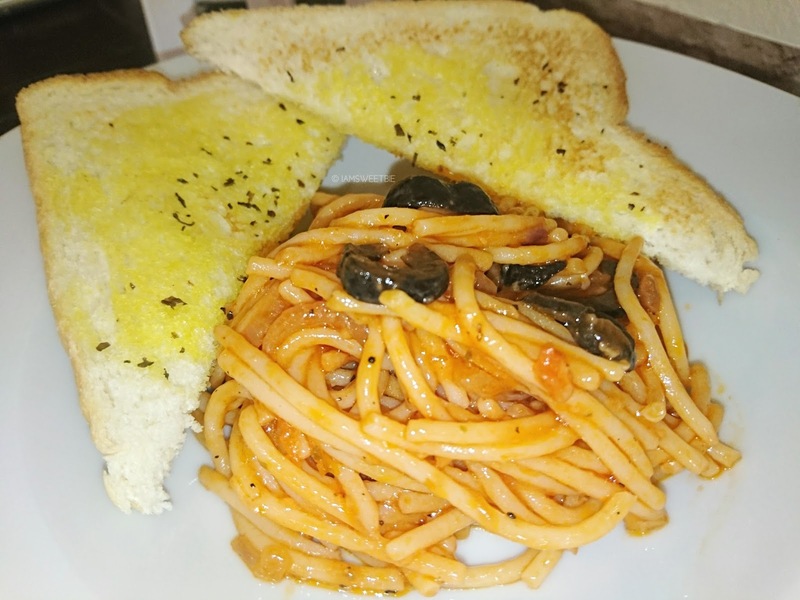 Pomodoro, the healthy spaghetti platter is another classic spaghetti but without meat at all. I wasn't a fan of spaghetti so I won't give justice to their taste that's why I am leaving this for you to try. But, it's good enough since there are no meat in it. Nachos is not my thing because I love tacos. But there are exception to the rules. 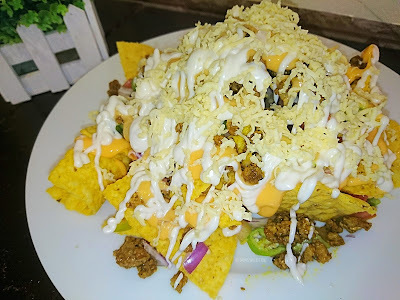 Much more if I find Nachos just like these. Ano gang dami nare, swak sa Grey's Anatomy marathon ang garne. I've tried the Nachos of Sweet Kirsh before but it is just the side dish of the Pika Tower and I love it. But this one is an equal or should I say mas lamang because of the mayo in it and not so tangy beef. Now I am craving right after typing. 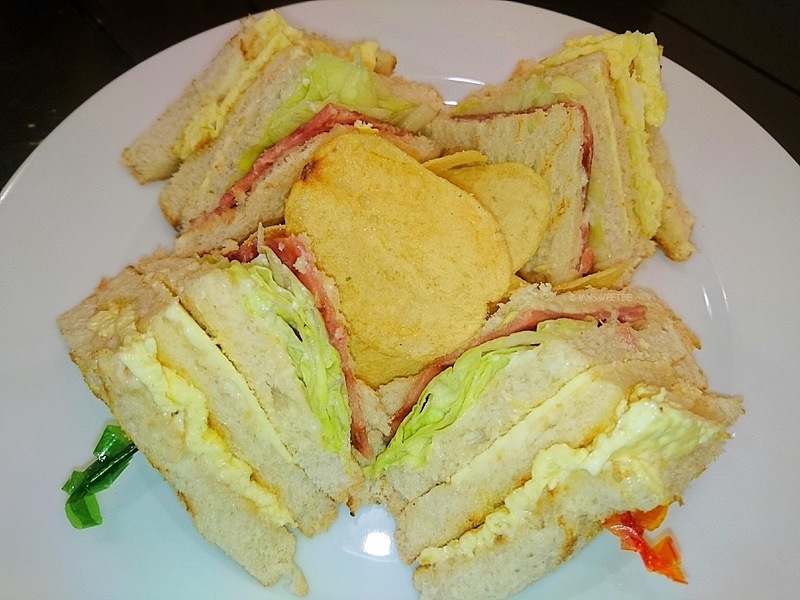 In every pasta there should be a sandwich just to balance everything in between. So the Octadix Clubhouse came to rescue. Nothing fancy but it must be good too because my friend and cousin eat them all. I skipped it since I will be back to get a plate of carbonara for myself some other time. 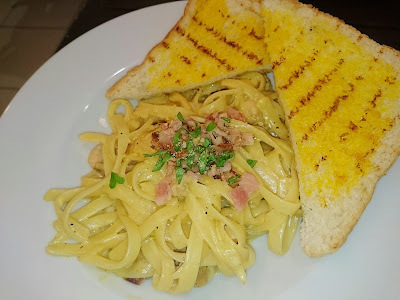 Chicken Carbonara, you know how I adore Carbonara right? Why does it have to be this way? They serve it right. Just the way I like it even if I find it bitin because the serving is too small for me. I might ask for more? Definitely yes because it is also MASARAP! No other word for that. Can you see the fudgy, moist chocolate in there? Now, a sumptous meal is not complete without a dessert in it. 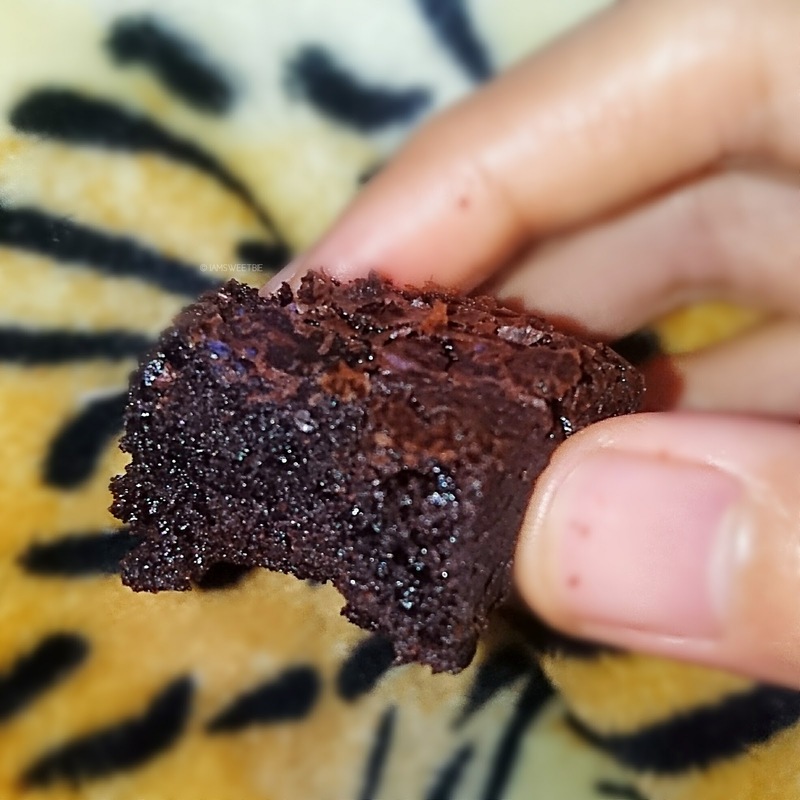 The moist fudgy brownies I ordered is worth every penny in every bite. Chocolatey good even if I put it in refrigerator and it didn't last long because I ended up eating 2-3 slices in one sitting. Sorry! I have a sweet tooth. The Moist Chocolate Cake is the finale but I didn't expect this to be that perfect too. Ms Kat, you got my sweet tooth really, sayo yata mauubos ang pera ko, charot. 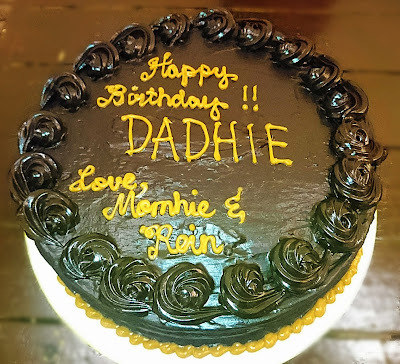 This round cake is siksik, liglig at nagsusumigaw ng katamisan because it was like chocolatey haven in every slice. 2 slices for me right after the lunch platter. And it has caramel side icing and dedication too. Sinfully delicious and magkaka tonsilitis yata ako nito. 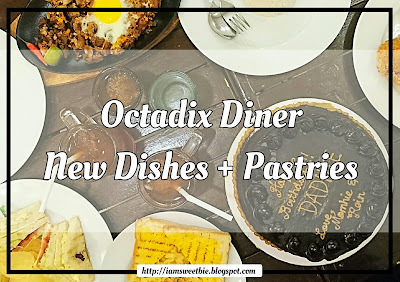 That was a wrap and there are more menu to try at Octadix so I guess I really should keep visiting them and tried their lutong bahay menu next time or even the milkshakes? Follow me for my next foodventure at instagram and don't forget to like my facebook page for other updates.